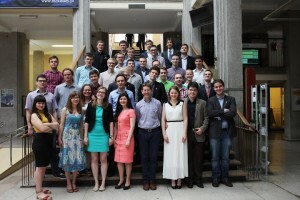 Students Research Association for International Finance is one of the most active students organization in Warsaw School of Economics. 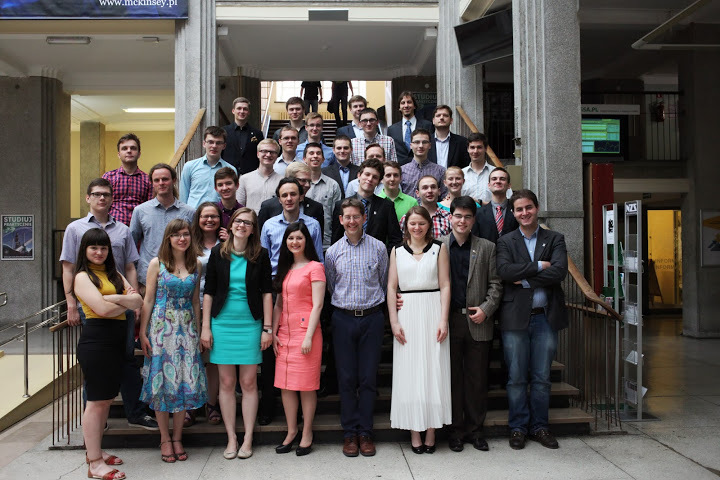 At the end of the academic year 2012/2013 we had 50 active members who took part in 12 projects. In spite of our name, we do not deal solely with International Finance. Our area of interest embraces chiefly monetary policy, econometric modeling and forecasting, macroeconomic analyses, financial markets and lots of other subjects concerning economics. We publish series of our own scientific articles in our magazine – Student’s Economic and Social Review, build our own forecasting model for polish economy, every month we act as a Monetary Policy Council and decide on the level of interest rates. Every semester we organize Sabbatical Seminars, which give us an opportunity to present our papers in front of the experts. Once a year we invite business, academics and students to take part in Macroeconomic Congress. We cooperate with institutions such as National Bank of Poland, Ministry of Finance and commercial financial institutions. Our main goal is to learn how to put theoretical knowledge into practice. We would like to emphasize that we also deal with economics in social terms by arranging monthly workshops Reform for Poland – an opportunity for a discussion for students, young scientists and business representatives. Moreover, we debate according to Oxford Debating System, learn the basics of eristic, the art of public speaking and legal aspects of economic activity.